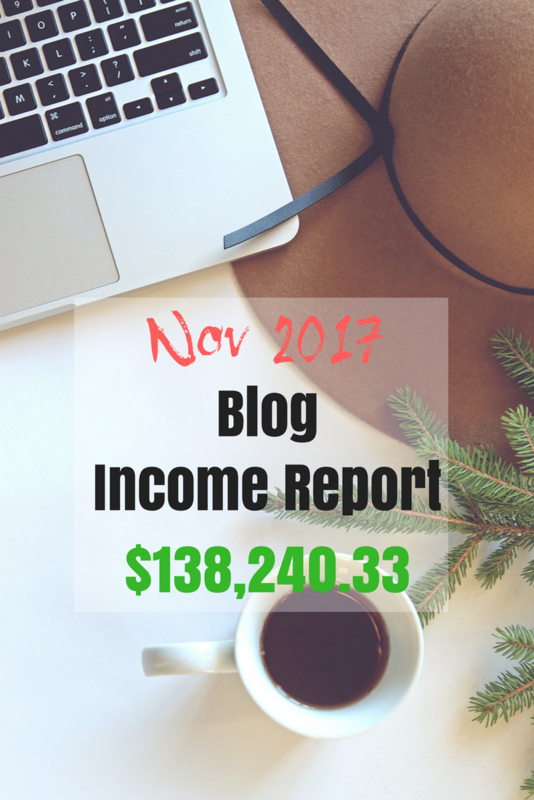 November 2017 Blog Income Report $138,240.33 – It's a Lovely Life! Wow….we did it! We took in $138,240.33 in November and we finally smashed through that $100,000 barrier! This has been a major goal of ours that we were so close to in June, July, and October so this is really a big milestone. Read the full report to see how we did it. So far this year we have been to Orlando, Cabo San Lucas, Lake Tahoe, Rapid City South Dakota, The Cayman Islands, a European River Cruise with Adventures By Disney, Puerto Vallarta, and Miami (just Ashley and I). 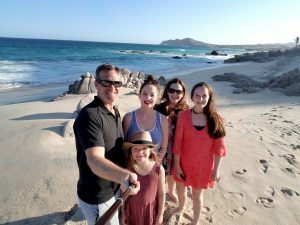 We have also done some local overnight trips including trips to Disneyland, a business trip to Austin, a Disney Cruise, and an overnight trip to San Diego for a conference. We have some BIG trips planned for the near future that we will be able to share about soon. So far, the results have been amazing. Over 61,000 people have signed up for these courses since mid-March, and we plan on expanding our marketing considerably in the coming weeks and months to reach even more people interested in blogging. 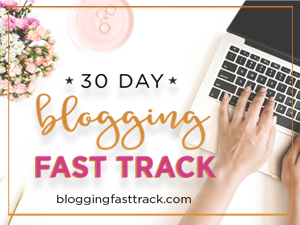 A big step forward for us came in June when we launched our new premium course, the 30 Day Blogging Fast Track. 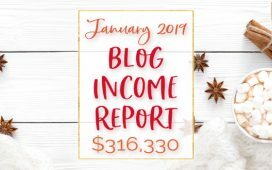 This is an intensive course that we designed to provide bloggers with exact money making systems, the steps to dramatically increase their social accounts, and also provide a defined system to drive lots of traffic to their blogs. Our first 6 launches of the Blogging Fast Track have been very successful. So far, over 800 students have enrolled in this course and we look forward to teaching everything to many more students going forward. Enrollments are now closed for the December Blogging Fast Track course! We will be opening up enrollments for a week in mid-December for the January 2018 class. We would love to have you be a part of the January class! In November, we increased our spending on Pinterest ads and decreased our spending on Facebook ads. So far, our ad costs are more on Pinterest than Facebook, but it remains to be seen if Pinterest ads or Facebook ads offer more return on our investment. We are also working to optimize our ads on Pinterest and our costs are coming down as we learn more and refine our system. The plan for December is to ramp up our Facebook Ad spend more than we did in November. Another big addition to our business has been the popularity of our Start A Money Making Blog Facebook group. 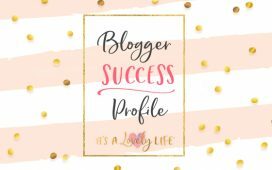 This group is an amazing support network for bloggers, both new and established. It has really been fun for Heather and I to interact with the group and help other bloggers in many different ways! The Start A Money Making Blog Facebook group now has over 23,000 Members and is growing rapidly. We run a free monthly 10k Traffic Challenge that provides daily information for 10 straight days to the group on techniques to increase blog traffic. The December 10k Challenge starts on December 5th and we would love to have YOU join in too. Sign up for the FREE 10k Challenge HERE. Did I mention there are some great prizes? We are very active in our Facebook Groups answering questions, doing live videos, and running our challenges. We have some great NEW challenges that we are planning to run in the future too! We are working on maximizing our time management skills to get these projects done ASAP. In November we continued our progress into the world of affiliate marketing. This includes: Sponsored blog posts, affiliate sales, sponsored social content for It's A Lovely Life and sponsored content written for other websites. There were a total of 175 Course Sales for the 30 Day Blogging Fast Track. 125 paid upfront and 50 chose the payment plan. 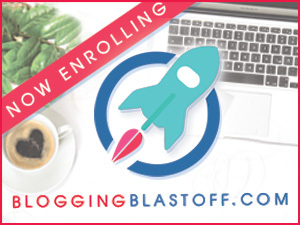 The 30 Day Blogging Fast Track is now CLOSED for enrollments. But, we will be opening the January course for enrollments in Mid December. We are very pleased with how many students have taken and are participating in this course. 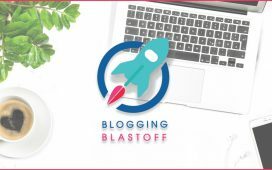 Our goal from the beginning was to provide something of such value that it would be a “no brainer” for those interested in progressing their blogging careers. I'm confident we've accomplished that task by providing such an extensive curriculum and also providing some great bonuses. This was only open the last few days of November. 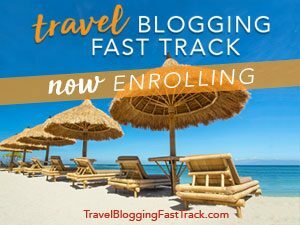 There were a total of 76 Course Sales for the Travel Blogging Fast Track. 62 paid upfront and 14 chose the payment plan. ***Please note that much of the income listed above has not been received yet. These figures are based on projects committed or contracted during November. Some of the projects have been completed already, and some have not. For the purposes of these income reports, we recognize the income in the month in which the work is committed or contracted. It also includes affiliate income generated. In both cases, there is sometimes a lengthy delay between these steps and when the funds are actually received. For course sales, some of the courses were purchased using a payment plan. We have not received all those payments yet, but the amount above reflects the amount we project to fully receive. We have left out individual names of sponsors for their privacy. Facebook Ads – Used to drive sign-ups for our free email courses and build our email list. We spent $15,398.74 in November 2017. Pinterest Ads – Used to advertise for sign-ups to the 5 Day Email Crash Course. We spent $26,380.18 in November 2017. We are thrilled with our November 2017 income of $138,240.33 but we are not fully satisfied yet. We know that our business has plenty of room to grow and we can't wait to see where we can take it. Our year to date income of $732,046.77 is an average of $66,549.71 per month. We plan to increase all these numbers substantially. We finally blew through the $100,000 per month milestone and there is no looking back now. Las Vegas – This is a place that we have been to many times and a place that we love! Not because we're gamblers, just because there is so much to do. We spent 3 nights here and have some fun content planned as a result of this trip. LA Auto Show with Kia – This was a day trip. Heather and I took the train up to LA and got to see all the exciting vehicles and things happening with Kia…which are impressive by the way! Grow our email list by 18,000 subscribers in December. We currently have 61,000+ subscribers on our email list. Successfully Launch the January 30 Day Blogging Fast Track Course. 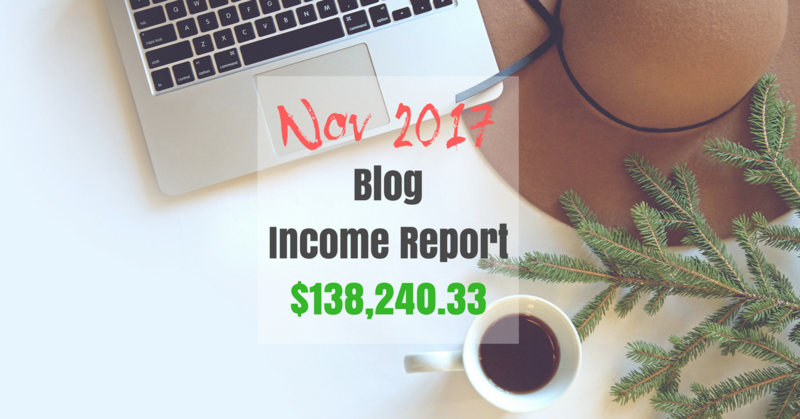 So that's it for the November 2017 Blog income report. Follow along each month as we detail our money-making efforts on the blog. Congratulations on your big mile stone! You two have worked so hard and it is paying off! So happy for you! Can’t wait to see what goal you knock out next! Thank you Brittany! I guess it’s time to set a new income goal I’ll make sure I post that in the next month’s report.. Also, we’ll set some goals for all of 2018 too. Congratulations .. Thanks for sharing your exp.. Thanks for being so transparent! I am excited to be starting a blog with my friend, and we are thankful for the information you have provided.